My Top 20 rock/metal albums of 2012 countdown moves into the top 3 today. As always, if you’re new to this blog or have simply missed any of my previous posts in this countdown, a full set of links can be found at the bottom of this post. At number 3 is a band that seemingly came out of nowhere and have produced a cracking debut album. I actually feel rather ashamed with myself that this band managed to blindside me because, with the clientele involved, this should have been slap bang in the middle of my radar. Featuring Adam Wakeman (son of Rick) on keyboards, prog music’s go-to bassist Lee Pomeroy and vocalist Damian Wilson, Headspace could be described as a ‘supergroup’. I’m not a fan of that term however, and so I’ll just say that the line-up contains some really impressive talent. Given the personnel, I am delighted to say that the music on this debut album is not a let-down. In fact, so good is the material that I have rated this album as the very best progressive album of 2012. It took a bit of time and patience, but that effort was well worth it. The album clocks in at around 73 minutes and is comprised of eight tracks, with all but one coming in at over eight minutes in length. Initially, this can be a daunting prospect but once you get immersed in the music, I guarantee that the time will fly by. Each track offers an abundance of interesting ideas; odd time signatures, intricate drum and bass work, complex riffs and enough melody to keep things accessible and memorable enough to invite repeated listening. What I like about the melodies however, is that they are never overworked and are subtle enough to just bury themselves into your psyche without you often realising it. And, thanks to the genuinely heavy and crunchy overall sound, particularly where Pete Rinaldi’s guitars are concerned, this disc is worthy of being referred to as ‘prog metal’. The number 5 slot was given to Threshold’s ‘March of Progress’. One of the big strengths of that album was in the vocal department, thanks to a great performance from Damian Wilson. On ‘I Am Anonymous’ however, his performance is not great. It is sensational. I have never heard Wilson sound as good as he does on this record. It helps that his lyrics are deeply emotional and full of passion but to be honest, on this form, he could be singing about the inner workings of a washing machine and I’d still listen, enraptured. Put simply, if you are looking for an entertaining, gratifying and challenging listen, ‘I Am Anonymous’ is it. 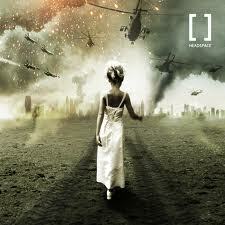 In my opinion, the progressive metal genre has produced nothing better in 2012. 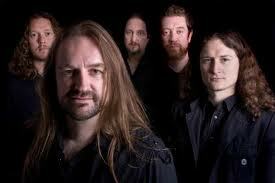 Wow, that´s really great stuff, but the best performance of Damian Wilson is on “Across the seven seas” from Maiden United. That´s my record of the year. And it´s interesting that you have a very wide musical range in your Top 20, but only one record (Threshold) of my Top 20. I´ve never heard of most of the records, but i have to listen to. Hi Daniel, nice to hear from you. Thanks for reading my blogs, I really appreciate it. I think that’s the best thing about music, that different people like different things – nobody is wrong, because every opinion is personal and valid. I will look more closely at Maiden United now, that’s for sure!